On January 19, Cherry Red Records—in conjunction with the Cryptic Corporation—reissued Meet the Residents (1974) and The Third Reich N Roll (1976), the first two albums by the Residents. These records introduced one of the music industry’s most trenchantly subversive outfits, and now they’re reappearing in new, expanded editions (augmented by 30 previously unreleased bonus tracks) remastered by Seattle audio engineer/musician Scott Colburn, who’s produced records for Sun City Girls, Animal Collective, Mudhoney, Arcade Fire, and many others. For nearly 50 years, the anonymous weirdos in the Residents have been ingenious pranksters of meta-music, master reconceptualizers, and proponents of adapting to new technologies while maintaining their oddly murky, otherworldly production aura. Their specialty has been turning the songs of other artists inside out, upside down, and sideways, sometimes revealing their innate absurdity and banality, other times exacerbating their sublimity (e.g., their re-imagining of the Beatles’ “Hey Jude” on Third Reich ‘N Roll, into which they interject “woo woo”s from the Rolling Stones’ “Sympathy for the Devil”). So it’s a big deal that the band and their handlers would tap Colburn to handle this restoration. 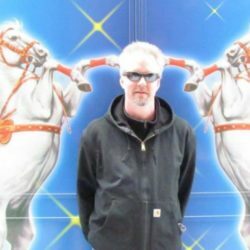 Below, I interview the underground studio wizard, who also records very good and bizarre electronic music under the alias Jabon. The Stranger: How did you get this assignment? Scott Colburn: Several people who know me or whom I’ve done work for in the past that are Residents confidants suggested that I be used for the archival transfers. While that was being negotiated, I offered to do the mastering, as well. It made sense to the label, because tapes could be shipped domestically. The Residents’ aesthetic relies heavily on distortion and murkiness (especially on The Third Reich ‘N Roll), which maybe presents challenges unlike most remastering jobs? If so, what were these challenges and how did this project differ (if at all) from others you’ve done? No real challenges other than the blemishes that are revealed at the resolution I’m working at. Intended distortion is one thing. Distortion from an ’80s processor is another thing. The mastering process is still very much how I approach any project. In this case, the tapes sound really great and I wanted to maintain that experience and enhance what I think is the cool part of any particular piece. Did working on Meet the Residents and Third Reich ‘N Roll change your perception of the group? No, but I did realize that I had never listened to them in headphones or there were subtle things that have never been revealed on previous issues. Have you been a fan for a long time? I do consider myself a long-time fan (33 years) now, but I came late to the party. How do you rank these titles in their catalog? On a scale of 1 to 5, I would rank them a 4. What do you think of the previously unreleased tracks? From a fan perspective, it’s a gold mine! From a music-producer perspective, I can see why they were unreleased. There is such a wealth of material, but sometimes the song just doesn’t fit the current project and is shelved. Can you imagine how much Sun City Girls material hit the floor? Same thing. 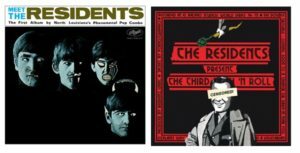 Have you or will you be working on other titles in the Residents’ reissue campaign? Yes, I have already transferred everything up to Mark of the Mole and have finished the masters for Fingerprince and Duck Stab. What else have you been working on lately and what’s on your agenda for 2018? I’ve been doing sound design for virtual reality for the last four years, so I’ll probably continue on that path. 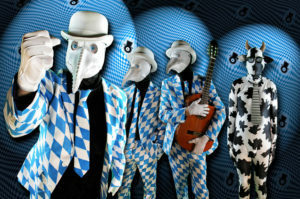 The Residents perform at the Triple Door Monday, April 9, as part of their In Between Dreams tour. The group will release two new albums this spring: the crowd-sourced I AM A RESIDENT! and the studio album Intruders. San Francisco, CA — Thursday, January 18, 2018 — Produced in collaboration with The Cryptic Corporation, and with full access to the infamous band’s extensive tape archive, Cherry Road Records (UK) and MVD Entertainment Group (US) reissues The Residents’ iconic debut and sophomore albums, Meet The Residents and The Third Reich ‘N Roll, on Friday, January 19, 2018. Re-mastered, expanded and preserved for future generations, Meet The Residents and The Third Reich ‘N Roll limited-edition reissues feature more than 30 long-lost unreleased tracks in an enhanced format fans have always wanted to hear from The Residents. Homer Flynn, President of The Cryptic Corporation, is available for interviews, and download links to access the reissues are available upon request. A stone-cold classic beloved around the globe by fans of these San Francisco outsiders, the initial release of Meet The Residents brought the anonymous experimental rock band to national prominence with its cover art parodying of The Beatles’ second U.S. release, Meet The Beatles. Though sales during its first year of release only amounted to 40 copies, Meet The Residents became a hit amongst music critics over the course of The Residents 45-year career. With 20 unreleased tracks, the reissue package explores the band’s first recording and related 1972-1973 material, including both mono and stereo mixes of Meet The Residents, the Santa Dog EP, out-takes, and the previously unknown “1 – 10 (with a touch of 11)” recordings. In the aftermath of Meet The Residents — which was famous for pushing the realms of reel-to-reel tape recording — the band went on to record an incredible catalogue of self-released albums and singles. The Residents’ sophomore recording, The Third Reich ‘N Roll, marks the band’s deconstruction and satire of 1960s pop music. With some of the renditions deliberately off key, others weirdly spot on, and some nearly unrecognizable buried deep in the mix beneath the machine-gun, air raid siren, and car crash side effects, The Residents introduced music fans to an alternative thought process well beyond the spoon-fed hits from 1970s radio airwaves. The Third Reich ‘N Roll helped pave the way from the Sixties peace and love culture to the introduction of punk. The Third Reich ‘N Roll reissue includes the re-mastered album and related singles, the previously unknown German Slide Music recordings, live-in-the-studio and concert material, and a never-before-heard remix. The 2-CD package includes rare imagery, and an essay and liner notes by Jim Knipfel. Meet The Residents 2-CD set also features unseen imagery, as well as an essay and liner notes by Ian Shirley and The Residents’ mysterious archivist. The first in a series of archival Residents reissues continuing throughout 2018 and beyond, The Residents’ Duck Stab/Buster & Glen and Fingerprince are next in cue for a March 23, 2018 release in advance of the band’s North American tour, In Between Dreams. As the band gleefully plunders their vast catalogue for narratives and characters swept up in dreamspaces, In Between Dreams features The Residents once again reinventing themselves, this time as Eekie, Erkie, Cha Cha and Tyrone, a classic quartet. Debuting the quartet at the prestigious Blue Note jazz club in Tokyo, Japan (March 2017), The Residents follow-up their In Between Dreams tour of Europe in November 2017 with stateside dates kicking off at the Regent Theatre (Los Angeles, CA: April 4) and trekking across the U.S. and Canada until the final show at The Kessler (Dallas, TX: May 3). The band’s five-part set features dream-esque songs from their acclaimed catalogue; as well as songs from their recent studio album, The Ghost Of Hope, and material from a forthcoming new album, Dyin’ Dog. The live sets are accentuated by short original films with characters narrating their dreams, such as Mother Teresa, John Wayne, Richard Nixon, and a not-so-friendly-looking clown. In spring 2018, The Residents release two new albums, a crowd-sourced recording titled I AM A RESIDENT! along with Intruders, their latest studio album. The world’s most obscure art-rock band opens a door on endless options by inviting die-hard fans to submit their own original versions of the band’s songs and offering the possibility of appearing on the I AM A RESIDENT! album. Through a successful PledgeMusic campaign, the band received more nearly 200 submissions. Fans themselves could become “A Resident” by simply pre-ordering the album, and submitting their own original interpretations of any Residents song. 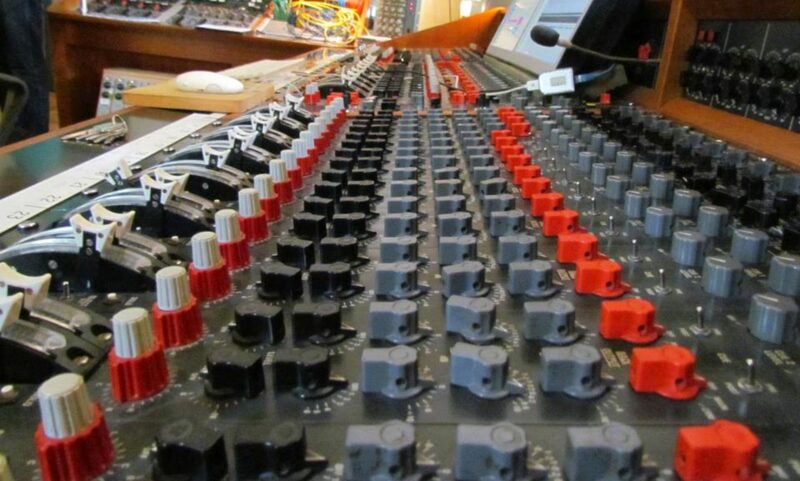 The Residents are also in the studio recording their next album, Intruders. Inspired by the persistence of obsession, Intruders are seen as alternate beings stalking the corners of our consciousness. The album’s 11 original songs all pivot around the unseen and the uncontrollable spirits stuck in the seams of our minds. Whether it’s ghosts, angels, aliens, ex-lovers or an angry old woman with a bittersweet smile, we never know who or what will wedge itself into the darker recesses of our minds. Hated, loved, or merely tolerated, we all have Intruders. Featuring songs titled “Voodoo Doll,” “Shadows,” “The Intruder,” and the first single “Frank’s Lament,” the album will possess and obsess Residents fans worldwide immediately after its release in the spring of 2018. Alternately seen as a rock band, an arts collective and a spirit, The Residents have been regarded as icons in the world of experimental music for over 40 years. In addition to their groundbreaking work in the areas of trance, world fusion, electronica, punk, industrial and lounge music, the group has also been credited with being among the originators of performance art and music video, with their early videos included in the permanent collection of the Museum of Modern Art. Their over four-decade career has also taken them into the world of film and television music, having scored numerous films and TV series as well as several projects for MTV. In addition, the group is also thriving in the world of digital media having released ten DVDs, and two internet series. A loss in the Residents’ camp has turned into a gain for the avant garde San Francisco group’s fans. In the wake of the retirement of Hardy Fox, co-founder of the group’s Cryptic Corporation management and production company, current company president Homer Flynn struck a new deal with Britain’s Cherry Road Records and the MVD Entertainment Group in the U.S. which in turn led to a plan for deluxe and expanded re-releases of the Residents’ 46-year catalog. It begins Friday (Jan. 19) with the reissues of 1974’s Meet The Residents and 1976’s The Third Reich ‘N Roll, featuring more than 30 previously unreleased tracks between them — three of which are premiering exclusively below. Seattle engineer Scott Colburn, another Residents devotee, was enlisted and charged with sifting through and remastering the material, a process Flynn describes as “kind of crazy. The majority of it was on reel-to-reel tapes, some of them seven-and-a-half inches per second. I really had no idea a lot of this stuff existed.” The material, he adds, include demos, outtakes, concerts, live in-studio performances and more, along with essays and archival sleevenotes. Meet The Residents adds the 1972 Santa Dog EP, while Third Reich ‘N Roll includes the group’s legendary “Oh Mummy” show. The Residents kick off a North American tour at the Regent Theatre in Los Angeles on April 4 and trek through the U.S. and Canada until wrapping in Dallas on May 3.